I like best the bit where Greg and his best friend, Rowley, make a newspaper. In the newspaper they were advertising their holiday fair. I like that bit because their paper is witty. I would recommend this book to boys aged six to ten years because it has humour that smaller children cannot understand. 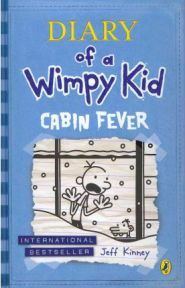 No Comments on "Dairy of a Wimpy Kid – Cabin Fever"